Sticks for the arms, a carrot for the nose, and coal for the eyes... Bunny Brown wants to make his snow bunny just right this winter! 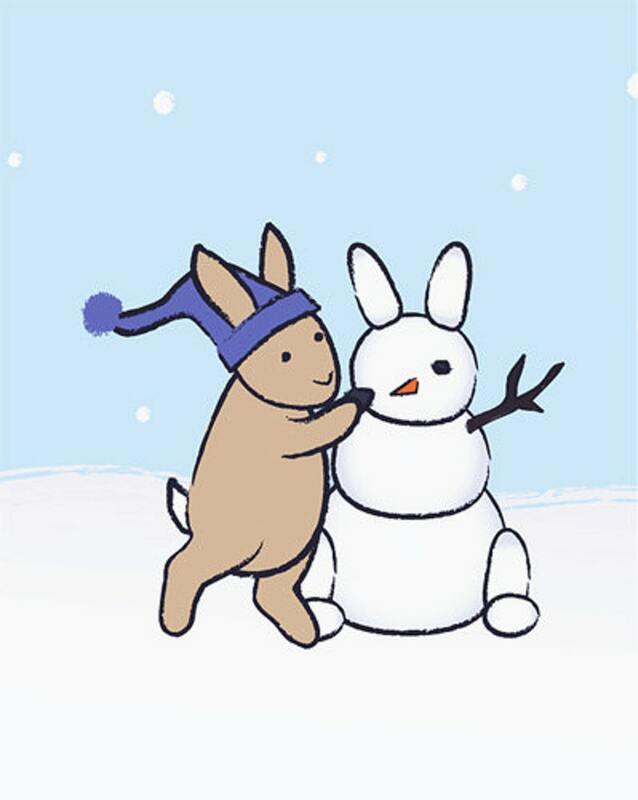 Brighten up a room with this adorable print featuring Bunny Brown adding the finishing touches to his snow sculpture. Perfect for a child's bedroom / nursery or for bunny lovers of all ages.